Modi also said the disruptions in the Rajya Sabha enabled Naidu to display his administrative expertise as the Chairman. Prime Minister Narendra Modi on Sunday made a veiled attack on the Opposition, saying the one who calls for discipline was being branded an “autocrat” as he praised Rajya Sabha Chairman M Venkaiah Naidu for bringing “discipline” to the House. 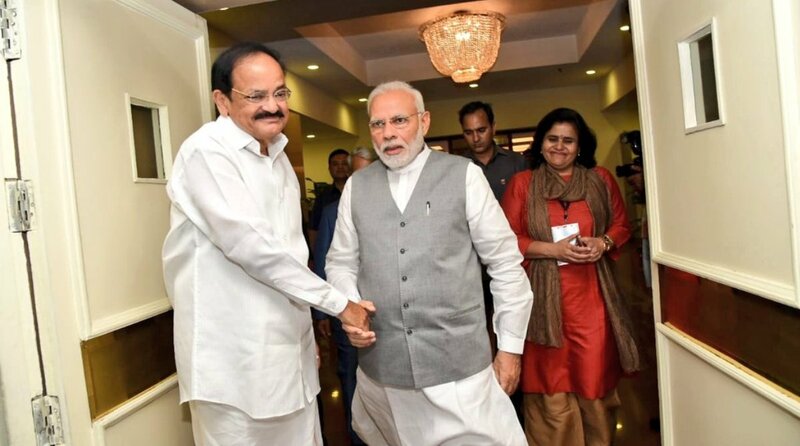 Speaking at the launch of a book on the Vice President, Modi also said the disruptions in the Rajya Sabha enabled Naidu to display his administrative expertise as the Chairman. “Naidu is a disciplinarian, but the situation in the country is such that it has become easy to call discipline undemocratic. If someone even tries to be a disciplinarian, he has to face the music. He is called an autocrat and they open the dictionary…,” Modi said, after unveiling “Moving On… Moving Forward: A Year In Office” — a book marking the completion of Naidu’s one year as the Vice President and the Rajya Sabha Chairman. “Naidu himself follows discipline which he preaches. Discipline is in his nature,” said the Prime Minister praising the former BJP President’s administrative expertise. “If a House functions properly, then nobody pays attention to who is presiding. But when it does not function as per the norms, everybody focuses on the Chairperson; what that person’s qualities are and how that person maintains discipline in the House. “This year, people got the opportunity to witness how Naidu presides over the House. 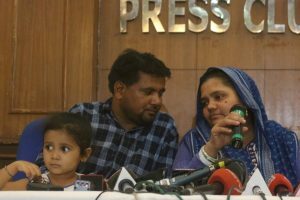 Had the House functioned properly this wouldn’t have been possible,” said Modi making a veiled attack on the opposition protests over various issues in Parliament. Naidu’s tenure as the Rajya Sabha Chairman has witnessed continuous disruptions especially by the opposition over a host of issues including Rafale fighter jet deal and lynching incidents. Modi then went on to praise Naidu for his “diligence” to carry out the work that has been assigned to him. “Whichever duty he had, he performed with utmost diligence and adapted into that role with ease. He always provides visionary leadership whenever he gets a responsibility. He gets the best experts to ensure justice is done to the work assigned,” Modi said. He also lauded Naidu for always being focused on the plight of farmers and the development of agriculture. The book release function saw former Prime Ministers Manmohan Singh and HD Deve Gowda sharing the dais with Modi, Finance Minister Arun Jaitley and Lok Sabha Speaker Sumitra Mahajan.